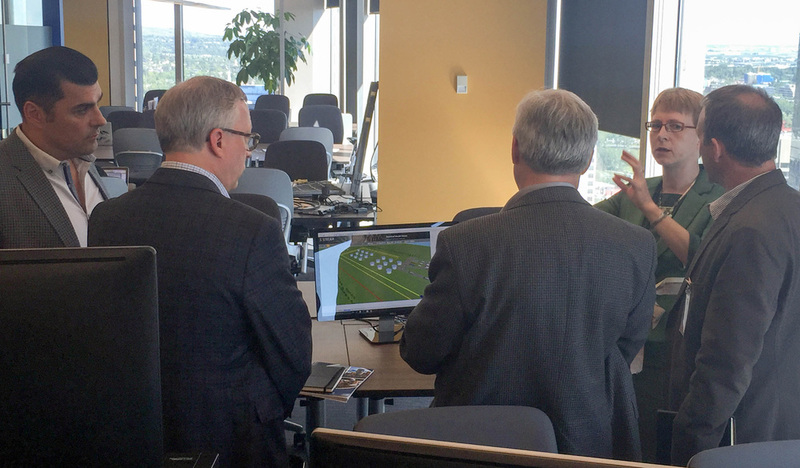 Stream was visited by representatives from Western Economic Diversification Canada including Assistant Deputy Minister, Jim Saunderson. Birgit gave a product demonstration of Stream's software, and spoke about our experience with Zone Startups, and the value we experience from our participation in the incubator. As an innovator in modelling simulation, we were excited to meet with government officials facilitating diverse economic growth in Canada. Birgit giving a product demonstration with the demo in the background.